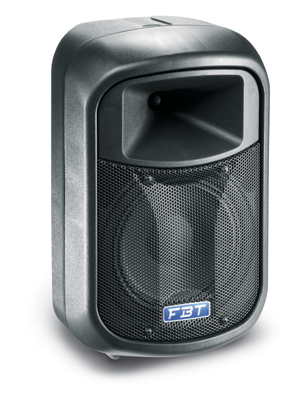 This category of FBT products presents a wide assortment of products for DJ’s, bands, and production companies seeking industry-leading products for “speaker-on-a- stick” and similar applications. 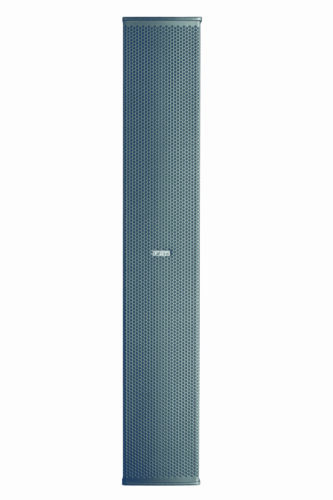 Available in either passive or bi-amplified versions, each of the models – the VENTIS 115, 112, 110, 108 and 206 – has been designed to meet the highest standards in both performance and aesthetic appeal. For the VENTIS range, quality and flexibility are the watchwords. Based on a powerful combination of B&C compression drivers and FBT’s own custom, long excursion woofers, the 115, 112, 110 and 108 models are two-way, bass reflex designs housed in 15mm birch plywood. 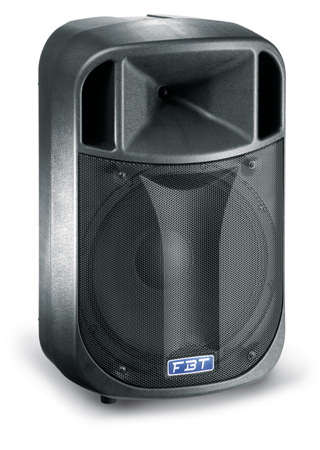 A full-grille design backed by specially treated acoustic cloth delivers the characteristic style for which FBT is known, while fully rotatable constant directivity horns ensure accurate coverage. The five enclosures are as suitable for fixed installation as they are for use on the stage. M10 points are included as standard while an optional U-bracket can be used for wall-mounting. 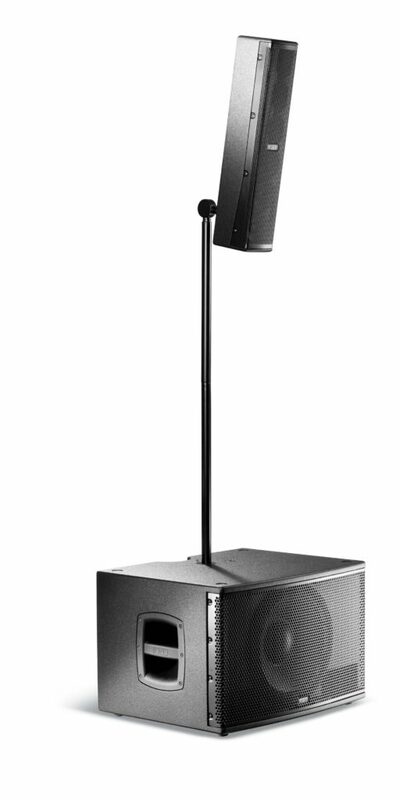 For use on the road, the VENTIS models include aluminum handles with rubber inserts, a 35mm polemount socket, and a 45° sloped profile for unobtrusive placement on-stage as a monitor. 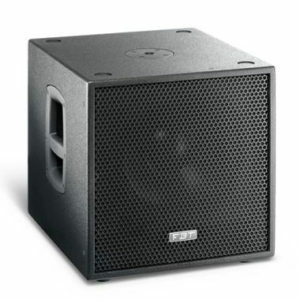 intelligibility or simply as the full-range companion of a subwoofer. Constructed in 12mm birch plywood, the 206 has an integrated rear handle, an optional mounting bracket and, most importantly, an astonishing size to SPL ratio. The new coaxial monitors in bass reflex Ventis 112MA and Ventis 115MA expand the active and passive range of the series. Thanks to the B&C custom transducers they are capable of a 132dB SPL. The two enclosures are built with a 15mm birch plywood and they can also be used for fixed installation and FOH thanks to 35mm pole mount socket and to the inserts for optional mounting bracket. Power for the active VENTIS models comes ourtesy of a specially designed, Italian made switching mode amplifier module. Low frequencies are driven by a highly efficient 700W RMS (full bridge) Class-D topology, operating with extremely low THD. 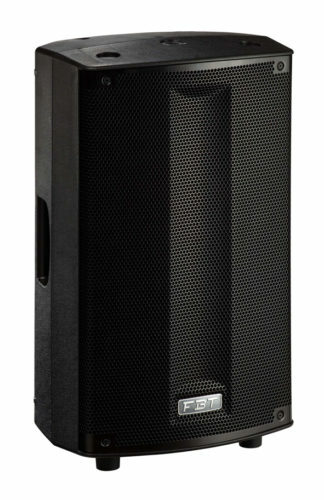 For the HF stage, a 200W RMS performance is delivered via a meticulously crafted Class-H / AB design. 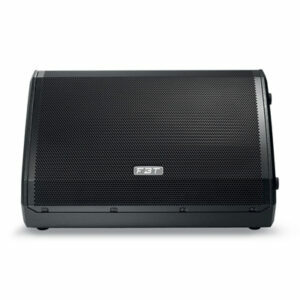 Finally, DSP on-board the VENTIS enclosures is both user friendly and powerful. Located on the rear of each enclosure, a menu-driven system is navigated via a single rotary control with push-to-select functionality. A total of 6 pre-optimized settings are available (see below), plus 2 further slots for users to form their own designs, using 5 parametric equalizers per slot. Also available is a high-pass filter, a mic/line selector, low, mid and high tone settings and an optional delay of between 0 and 3.5 meters. Finally, users can exclusively choose between two limiter modes, MAX-SPL or MAX-QUALITY, to best suit their performance. 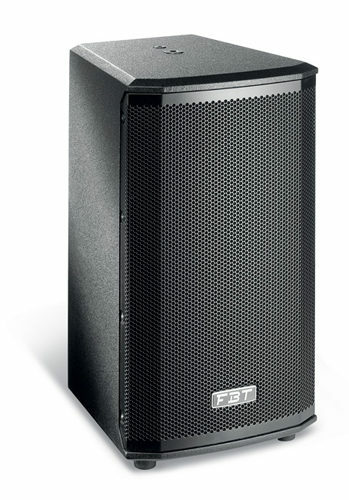 The FBT VENTIS range offers powerful DSP with 6 versatile presets. 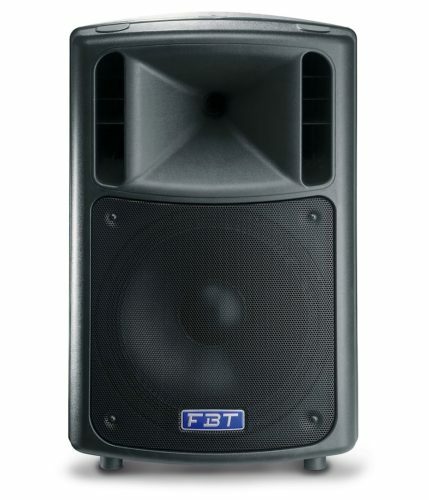 Crafted by expert FBT engineers, the presets offer a performance for every requirement. WARM A special setting to emphasis full-bodied, low-mid frequencies. Very compact dimensions enable the listener to concentrate on sound and not on speakers! 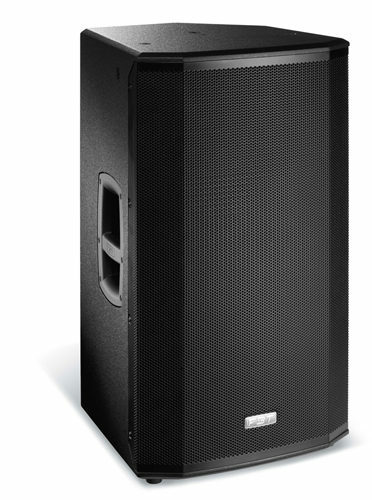 VERTUS CLA is a true professional line array system that can satisfy the musician looking for a compact PA solution, easily to carry, modular, ready to use in just minutes with no-compromise quality. It is capable of being integrated into any environment or installation requiring high-quality sound and controlled directional characteristics. 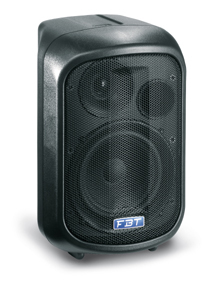 Aimed to extend the low frequency response to a wide range of FBT speaker systems. model 18S, built in birch 5/8” plywood with scratch & scuff resistant paint finish. 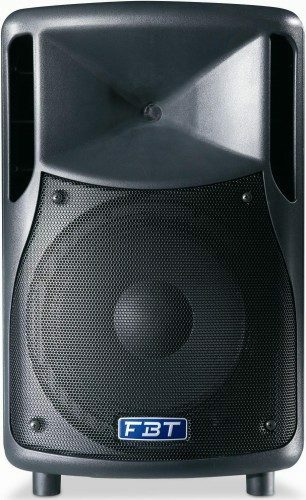 Designed in 18” bass-reflex, 15” and 12” band-pass. 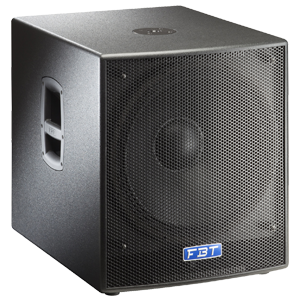 They have Class D amplifiers, switch mode power supply and Digital Signal Processor with presets to match any other FBT speaker. IN/OUT stereo, it is possible to use only one subwoofer with Left and Right satellites. Additional optional wheels, ergonomic integrated carrying handles and light cabinet allow an easy transport. 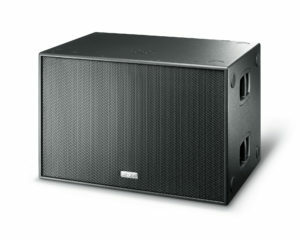 A benchmark in Sound Reinforcement With the HiMaxX series, FBT establishes a reference point on the scenario of 12” and 15” sound reinforcement polypropylene enclosures, introducing performance and technical content of an impressive standard. The engineering of the enclosures, the use of switch mode power supplies and high efficiency power amplifiers, the custom design of the transducers made FBT’s R&D team achieve the maximum in power/weight ratio. Three models; two 2-way full-range enclosures in polypropylene, HiMaxX 40 (12”+1”) and HiMaxX 60 (15’’+1.4”), plus a compact 18’’ bandpass SUB in birch plywood (HiMaxX 100Sa). Compact and light weight, HiMaxX brilliantly solve all the most demanding needs for bands, musicians and professionals looking for powerful, versatile and very high quality loudspeaker enclosures. 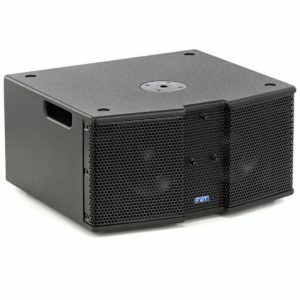 Ideal for live and sound reinforcement applications requiring ease of transport, they are also suited to fixed installations, thanks to the cabinets’ design and optional accessories. A powerful dynamic design for aggressive clean-cut lines. A sturdy light-weight enclosure that ensures great versatility and is ready for installation, thanks to its special mounting points and optional accessories. 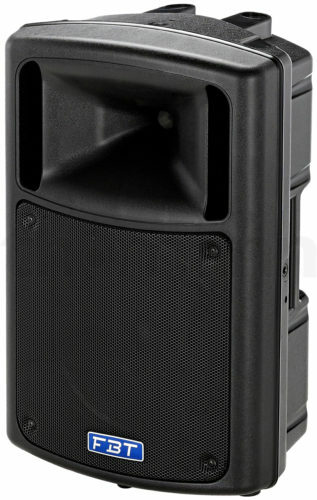 The asymmetrical design enables the enclosures to be used as stage monitors. A specially designed control panel ensures ease of use and intuitive control. Mic/Line input, auxiliary stereo input with (HiMaxX 40a), 3-band EQ, ground-lift, diagnostic LED. Loudspeaker components are engineered in collaboration with B&C. FBT studied and designed special chassis. A more efficient ventilation circuit with a consequent reduction of 2dB “power compression”, a considerably stiffer cone to improve reliability and distortion and an even more powerful neodymium magnet to increase control and efficiency. The voice coil has a diameter of 75 mm (3”) for higher power handling and reliability. B&C compression driver with a 25 mm (1’’) throat and 44 mm (1.7’’) coil (HiMaxX 40) for high power handling. Thanks to the use of a shorting copper cap, high frequencies are even more dynamic and crystal-clear. The development of the innovative amplifier is the result of years of research by the FBT R&D labs. It manages to combine the contrasting features of lightness, high power, efficiency and reliability, using the very latest technology. A switch mode power supply to reduce the weight and increase the power output velocity, a very high performance PWM amplifier for the low frequencies, to maximize the power fed out with minimum heat dissipation. A Class G amplifier for the high frequencies enables to achieve the audio quality of a Class A, with a much higher output. The silent preamplifier manufactured with SMD technology has the job of handling the equalization, 24dB/oct crossover, sophisticated protections, limiter and the commands of the control panel. 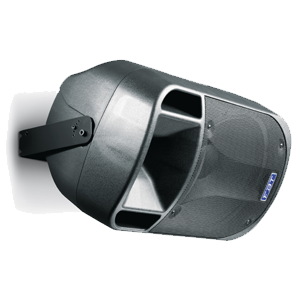 The horn’s profile has been designed to ensure greater directivity control and lower distortion. The dispersion angle is 90°H x 60°V. 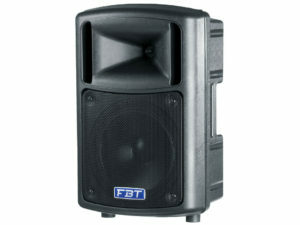 FBT is launching the next step in the PROMAXX range of portable PA enclosures. 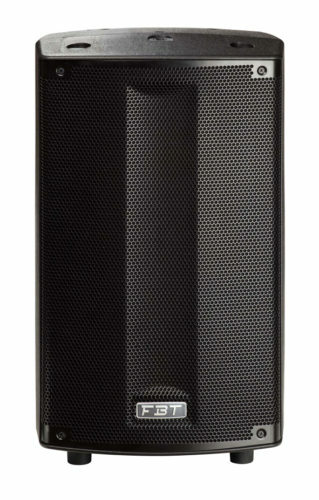 With a specially developed polypropylene cabinet and stylish full grille aesthetic, the new PROMAXX by FBT represents the next step in the evolution of a portable sound classic. Equipped with custom FBT speakers complete with B&C’s renowned compression driver technology, PROMAXX combines true made-in-Italy quality and style. 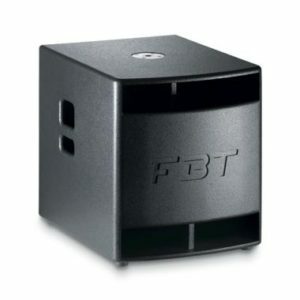 At its heart is a purpose-built FBT amplifier module with a switch-mode power supply. 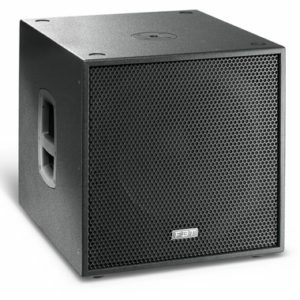 For the low frequency section, 700W RMS is driven via a highly efficient Class-D topology, boasting extremely low THD. For HF, meanwhile, 200W RMS is delivered by a Class-H / AB design chosen to ensure the highest definition of audio performance at high frequencies. Also onboard is a powerful digital signal processing (DSP) platform made available to users of all levels thanks to an intuitive graphical user interface. Located on the rear of the enclosure, the menu-driven system is navigated via a single rotary control with push-to-select functionality. Users can choose between 6 equalizer presets, each carefully designed by FBT engineers to ensure that every application is catered for (see below). Additionally, 2 preset slots are available for users to form their own designs, using 5 parametric equalizers per slot. Also available is a high-pass filter, a mic/line selector, low, mid and high tone settings and an optional delay of between 0 and 3.5 metres. Finally, users can exclusively choose between two limiter modes, MAX-SPL or MAX-QUALITY, to best suit their performance. The PROMAXX feature-set is matched by the enclosure’s versatility, with options for pole-mounting, wall-hanging, suspension or even deployment in an array. The result is the most accessible PROMAXX yet. 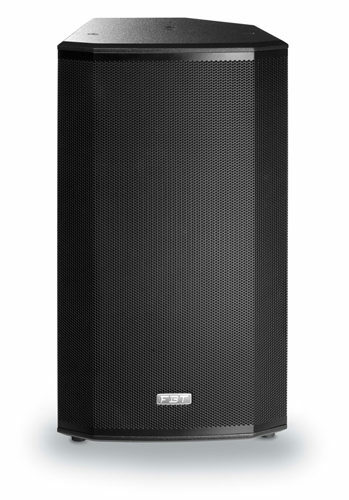 The Second generation of an International Best Seller Evolving from the FBT EvoMaxX Series of loudspeakers, FBT Evo2MaxX speakers feature totally new Digital Sound Processing resulting in improved sound quality and SPL, especially in bass reproduction at high volume. The sound is more relaxing and natural and the four new DSP presets provide quick dynamic equalization and protection contours for any acoustically challenging venue. 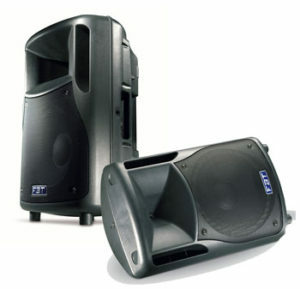 Other exciting features are high efficiency and excursion woofers, powerful Class D amplifiers with an extremely low noise floor. 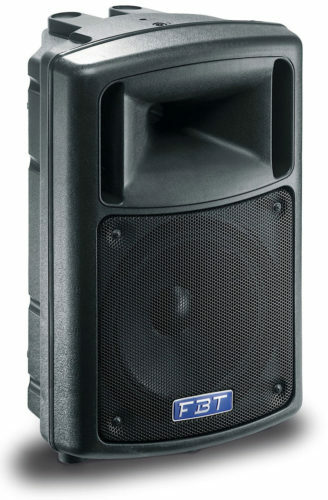 Alongside these key performance improvements, FBT has been inspired to develop the Evo2MaxX Series by one very important goal – offering the customer more value for money. 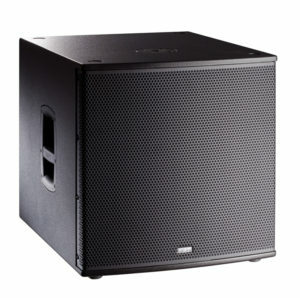 Evo2MaxX lightweight yet sturdy polypropylene cabinets feature a monitor taper designed to ensure that they perform with excellence no matter whether they are used at front of house for a main sound system, as stage floor monitors or within permanent installations. 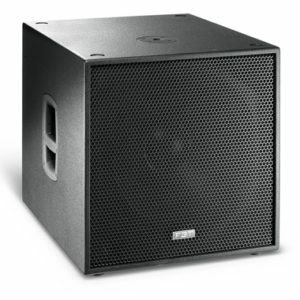 Additional options are also available for extending low frequency response in the shape of the 15” subwoofer Evo2MaxX 9Sa or the SUBLine 12Sa, 15Sa and 18Sa, all of which boast birch plywood enclosures with 12”, 15” band-pass and 18” reflex designs respectively. Sturdy, gas-injected polypropylene molded enclosures, engineered to contain undesired resonance. 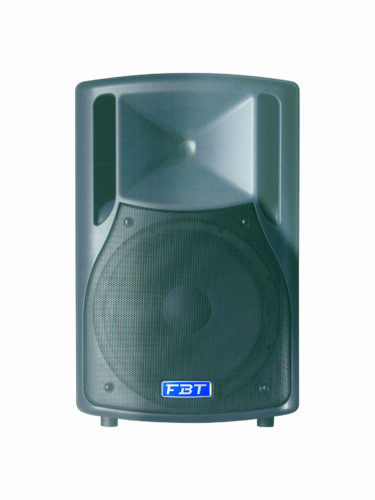 High efficiency loudspeakers custom made for FBT with a weather resistant coating, allowing use in covered outdoor applications. Latest Class D, 400W LF and 100W HF power amplifiers with high efficiency switch mode power supplies. These amplifiers boast an extremely lightweight design with passively cooled circuitry, meaning no noisy fans! 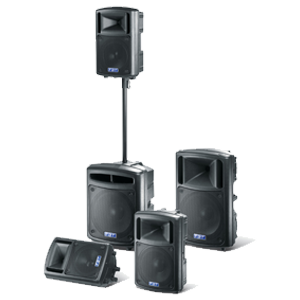 Ergonomic carrying handles, M10 fly points, a top-hat speaker stand socket and a stage monitor taper – all included to ensure superb versatility for live sound events and permanent installations. 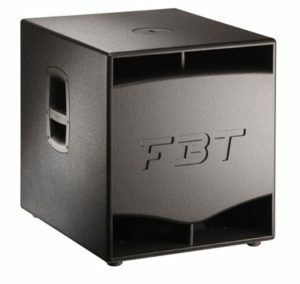 ORIGINAL: Corresponding FBT benchmark sound for use in general applications. 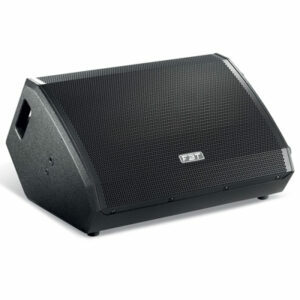 FLOOR/VOCAL: The Evo2MaxX immediately becomes an ideal stage monitor. Also suited for high clarity and intelligibility vocal reproduction. BOOST/LOUNGE: Providing loudness contour with increased bass response for a relaxing and very enjoyable listening, especially at low and medium volume. 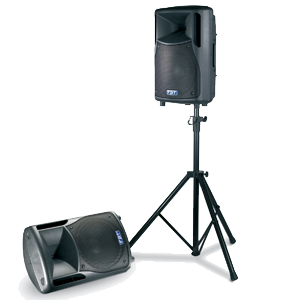 CLUB/DJ: Providing all the punch and full-bodied response required by DJ users, suitable for high volume DISCO and PARTY applications. The new J series is a technologically advanced range of products that improves on the performance of the previous Jolly line. 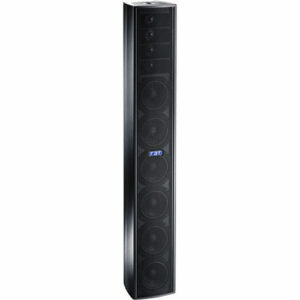 The new J series is a competitive, value for money range of speakers. The range is based on the development of three new high efficiency class-D amplifiers with power specifications of 350 + 100W for the J 15A & J 12A, 200 + 50W for the J 8A and 80 + 40W for the J 5A. These amplifiers have been designed ‘from the ground up’ in FBT’s R&D laboratories. The largest amplifier model that equips the J 15A and J 12A has a switch mode power supply as well as a digital signal processor with 4 pre-sets. The J 8A and J 5A amplifiers have toroidal transformer power supplies. The J 8A has a digital signal processor with 2 pre-sets, whilst the J 5A has analog signal processing. The speakers have been completely redesigned, introducing the technological developments of recent years to achieve a far superior efficiency and linearity. 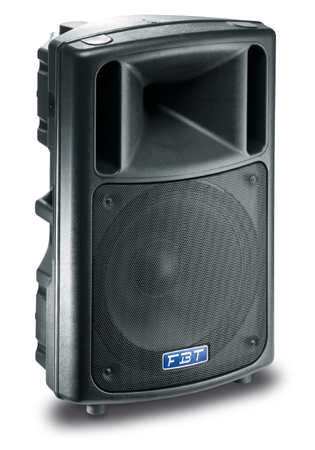 Following from the new J series, FBT bring you the DJ 15A, designed with today’s modern DJ in mind. The DJ 15A has invaluable features allowing quality audio playback using our revolutionary DSP technology. This includes 4 presets enabling the DJ to change the sound of their music to suit the environment they play within. These DSP presets will allow the DJs audience to enjoy improved sound quality and SPL, especially in bass reproduction at high volume. The DJ 15A also has another useful feature for DJs, including a two channel input mixer allowing the DJ to plug a music source and microphone direct into the speaker, giving separate control over volume for both devices. You can also daisy chain these speaker together if required. Ideal for many application of today’s modern DJ.